Hey guys could any of you give me some info on how did the parking brake came in the original m715. when i bought mine it didnt have one and i want to know where does ti go in the stock one. It's a drum-mounted brake that attaches to the rear of the transfer case on the driver's side. If you're asking about the lever, it's a large lever with a button on top that sticks up to the left of the xfer case levers. Jon, do you have a pic you can post? 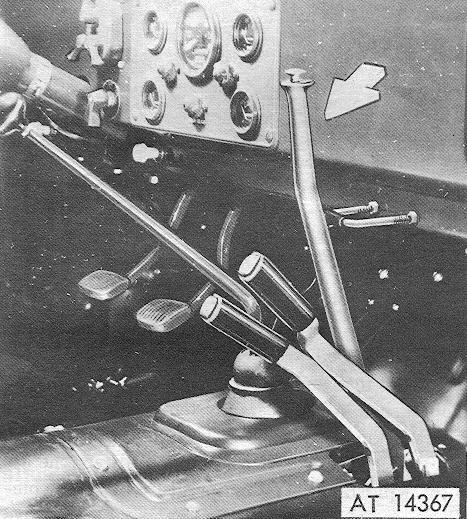 If you have everything else, I have an extra parking brake lever that Rich was talking about. LMK. 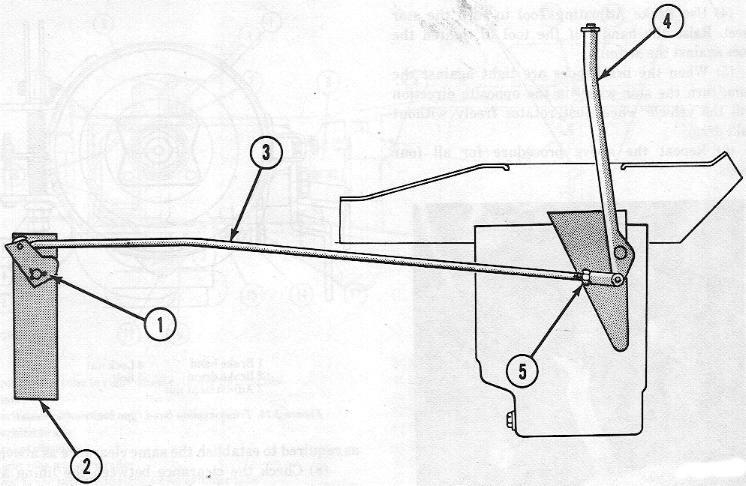 if anyone has a picture of the mechanism that will help ...!!! Hmmm....what do you need pics of....the stuff on the tcase and the lever and the linkage? 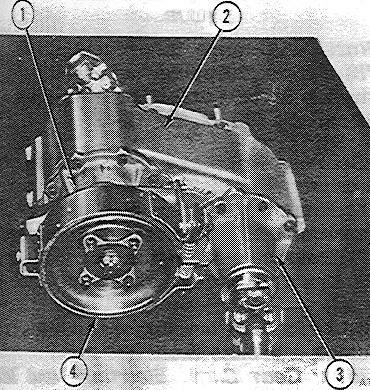 The pic teking shows above is the stock ebrake with a conversion flange to allow the rear driveshaft to run off the same output as the ebrake. This eliminates the very loud whine at speed that the stock tcase has but it isnt a stock item....normally the rear driveshaft is on the passenger side output with the ebrake on the drivers side one. Why does the drive shaft in stock form come off the right side shaft, what capability do you lose if any by connecting to center shaft. The only downside to moving it that I have ever heard was a clearance issue with the stock gas tank when the rear axle is swapped out for, say, a Chevy 14-bolt. 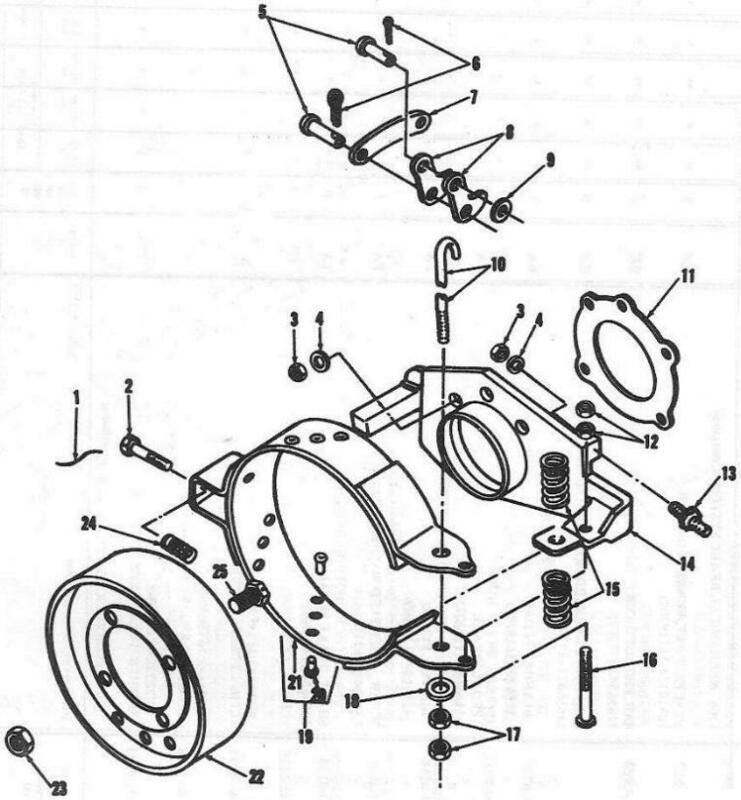 The stock axle has the differential offset to the passenger side a bit, so it is not an issue unless you swap in a rear axle with the differential centered. It may have even fit (barely). Haven't done it myself though. I think the benefits would easily outweigh the drawbacks though.